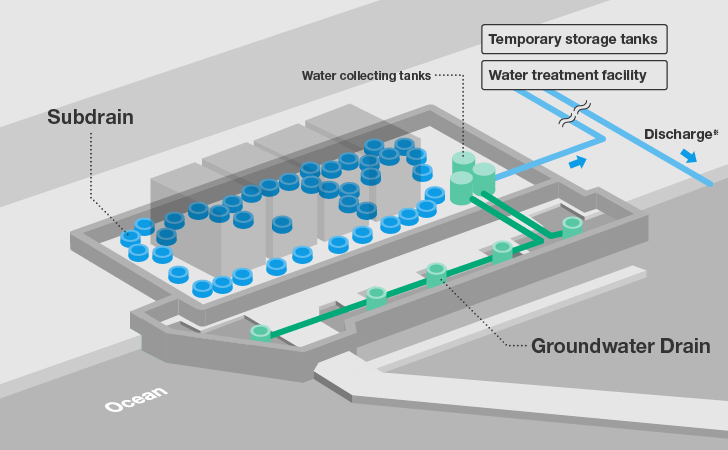 TEPCO has undertaken a number of efforts to try to control contaminated water at the site. These have had mixed results with the potential for unintended consequences. 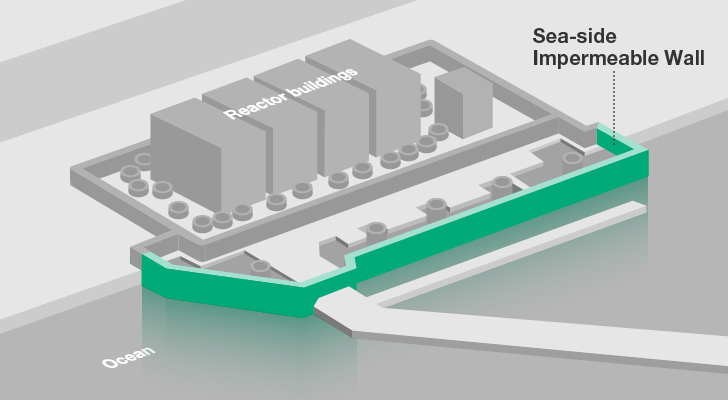 This 30 meter deep wall of frozen soil is intended to block groundwater intrusion into the reactor building area in the hopes of reducing the amount of contaminated water and leaks to the sea. The bore holes and equipment installation has been completed with most of the wells frozen or in the process of freezing as of August 2015. The true effectiveness of the wall should be understood better over the next year. This project was highly contentious. TEPCO didn’t want to pay for the project, it was eventually funded by the government and the contract given to Kajima Construction. Kajima is a major contractor at the disaster site and already had experience using this technology in large construction projects. The plant had a complex system of storm water handling pipes and canals before the disaster. It was only in 2014 when TEPCO was pushed by NRA to do something about this system. It was realized that this system was allowing contaminated water leaking from storage tanks on the hill to reach the ocean. It was discovered in 2015 that contaminated water was draining off the roof of unit 2 when it rained and this was also flowing out to sea via the K drainage canal. These drainage systems likely created a major pathway for contaminated rainwater and soils to be transported off the plant grounds and out to sea. The years since the disaster saw a number of typhoons in additional to large seasonal run off in spring. The extent of these releases has not been quantified. TEPCO has put in place a number of mitigation systems and monitoring to try to prevent further releases to the sea. 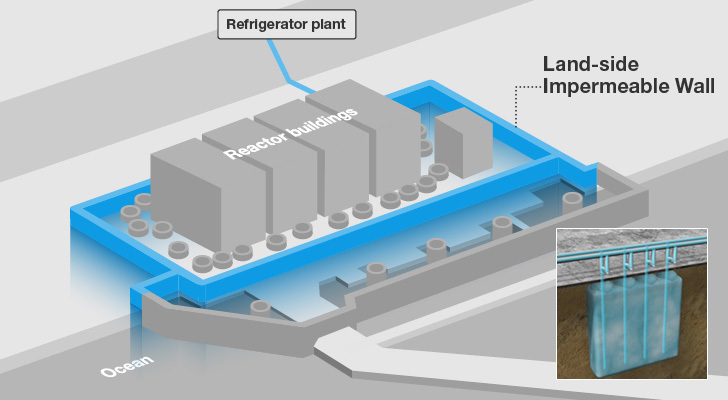 TEPCO initially installed a series of used bolt together tanks soon after the disaster to collect highly contaminated water as they searched for a more permanent process to deal with the massive amounts of contaminated water being generated daily. These tanks were rated for 3-5 years before the seals would fail. This began to happen even earlier than that, creating a number of major contaminated water leaks at the plant. TEPCO is now in the process of replacing these tanks with welded tanks.